Why a Mechanical Film Camera in a Digital Age? We are not talking here about the categorical renunciation of all technological advances. Voluntary simplicity does not mean reflexively renouncing the legitimate advantages of technology; rather, it recognizes that humans have a bond with their tools that transcends the idea of the tool as merely a means. Given this, it is rooted in a skeptical attitude toward the claim that increased technology is always the best means to an end. It involves a thoughtful stance in relation to technology, rejecting what is superfluous to the achievement of a given aim while acknowledging the emotional weight of our relationship with our tools. This is far from being primitive or regressive. It is progressive at its core. Mechanical film cameras today might seem an anachronism, sort of a technological dodo bird. But the reality, I would submit, stands this assumption on its head. In a very profound sense, it is the opposite. The best mechanical film cameras can be considered the ultimate refinement of a simplified technology, never to be obsolete. Today the main reason for obsolescence is that supporting technologies may no longer be available to produce or repair a product. Digital technology is extremely susceptible to obsolescence of this type. Integrated circuits, including camera sensors, memory and even relatively simple chips may no longer be produced because the technology has been superseded, their original developer gone out of business ( see Kodak) or a competitor has bought them out and effectively killed off their products to remove competition. The Leica M8, Leica’s first digital M, rolled out to great fanfare only 8 years ago, is already obsolete. Leica can no longer source its sensor or its LCD screen. If you own an M8 and these stop functioning, you now own a very expensive paperweight. Fixing it, even if you could, would probably cost substantially more than simply buying the latest Leica M. It is rarely worth redeveloping a product to get around these issues since its overall functionality and price/performance ratio has usually been superseded by that time. Camera manufacturers now deliberately introduce technological obsolescence as a product strategy, with the objective of generating long-term sales volume by reducing the time between repeat purchases. 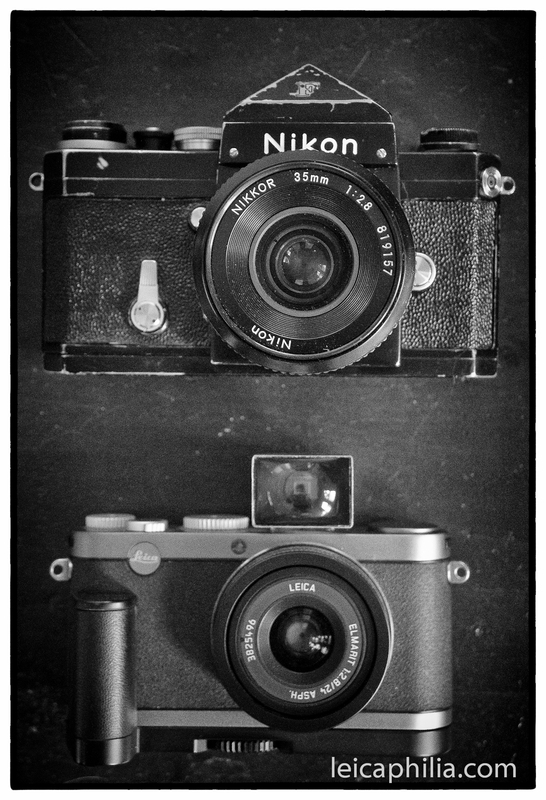 Ever tried using that Nikon D100 sitting in the back of your closet? If it still works, it will give you the same results it did when it was new; the problem is that digital camera technology has moved on to such a degree that it simply is not feasible to use it anymore when much better technology exists. All digitized products are inherently susceptible to obsolescence in this manner; digital cameras routinely become obsolete in favor of newer, faster, better units. Let’s not even begin to speak of rapid obsolescence of data formats along with supporting hardware and software that plagues modern photographers. Digital cameras also become functionally obsolete when they do not function in the manner they did when they were created. This may be due to natural wear, or when the technology is only designed with a limited lifespan in mind; today’s cameras, ‘professional models’ sometimes excluded, I suspect are intentionally designed to use faster wearing components, what is called planned obsolescence. The intention is not always cynical; rather, it’s a practical recognition of the regular exponential advance that can be expected of computerized products (See Moore’s Law). Why build a unit to last 20 years when it will be functionally obsolete in 3? Such products, which naturally wear out or break down, become obsolete because replacement parts are no longer available, or the cost of repairs or replacement parts is higher than the cost of a new, more technologically advanced item (see Leica M8). Mechanical cameras – the best, overbuilt like Leica Ms – are not subject to either technological or functional obsolescence. The technology of analog photography is simple: a light tight box capable of housing film; optics that concentrate light; a shutter that opens and closes at repeatable, regulated intervals; and an optical aperture that controls the amount of light passing through the lens. Any ‘improvement’ on these necessary parameters can only be nominal at best. Likewise, almost every fully mechanical Leica M ever built, absent those subjected to destructive forces (e.g. dropped into water, penetrated by a bullet etc) either still functions or can be made to function again with a Clean, Lubricate and Adjust or simple replacement of parts. If the part is no longer available it can be fabricated. If mechanical devices can be considered obsolete, it is usually an obsolescence of style and not of function. When a product is no longer desirable because it has gone out of the popular fashion, its style is obsolete. It may still be perfectly functional, but it is no longer desirable because style trends have moved on. But this sort of obsolescence is subject to human whims and can be undone. Based on a fashion cycle, stylistically obsolete products may eventually regain popularity and cease to be obsolete. What we are really talking about when we speak of the obsolescence of mechanical film cameras is, at base, that they are not in fashion. We’ve all seen the guy or girl, be it in Brooklyn, Portland, Raleigh or Austin. It’s become a cliché, the hipster with an old film camera, eschewing ‘modern’ mass technology for something more ‘real,’ more authentic. Whatever the motive, it points to something profound about the relationship between humans and their tools. At a very fundamental level, humans are defined and shaped by their use of tools. Tool use is the basis of human culture, and the tactile experience provided by using a tool is profoundly significant for human flourishing. Ironically, now that people spend so much time in a two-dimensional universe there’s a renewed acknowledgment of the pleasure to be found in the aesthetics and use of beautiful three-dimensional objects.The mechanical camera underlines the quirky, humanistic qualities of instruments created by hand. A mechanical camera is only partly a photographic device. It is also a complex and nuanced tactile object. Being without electronic or computerized circuits, there is a simplicity to them that computerized tools lack, a mechanical solidity that makes sense from a human perspective. The link between cause and effect is more transparent. You do something with a mechanical tool, it results in something tangible and coherent. You understand the why. Having been schooled squarely in the analogue age, I admit my ingrained biases may not make me the most objective of observer of the issue. But there is something, ‘unreal,’ simulated about the tactile experience of digital use. It’s the difference between a computer game that simulates racing a motorcycle on a track and actually riding a motorcycle on a track. The computer recreation is designed to give you the same sensation as being out there actually racing the track, but its a simulation of the reality, not the reality itself. What is missing is a certain solidity of experience. Not to say there isn’t enjoyment in the simulation, maybe, given the absence of danger, even a type of enjoyment that isn’t available to the analogue user, the guy actually out there in the vehicle running the track, but its not the same enjoyment; its, at best, a proscribed psychological enjoyment stripped of much of the tactile pleasure of the act itself. Photographically, there is something satisfying, from a bodily perspective, of winding on the film by hand; of turning a knob that controls the flow of light; of the sound of a mechanical shutter opening and closing. Digital cameras lack this bodily satisfaction, instead providing an experience akin to a conjuring trick, the link between cause and effect subsumed by the computerized nature of the transaction. Photography is about looking and seeing. It involves deliberation and judgment. It is about having the concentration, focus, required to look closely. Most of us who grew up on film are still ‘contemplative’ and ‘conscientious’ when also using digital because its been bred into our relationship with photography. For us, digital hasn’t made a difference in that respect. But it certainly has for those coming of age photographically in the digital era. All the talk about ‘slowing down’ and ‘understanding light’ or ‘better composition’ that accompanies use of film cameras comes primarily from those who grew up on digital devices and are just now using film. They’re discovering all those things that film users learned as formative consequences of the use of mechanical film cameras. It’s great that people are discovering film and the processes behind it and are now more thoughtful about what they are doing as a consequence. If it takes using film to be more conscious about our actions, then that might also help make contemporary digital photography a better place, too. The point is this: digital isn’t going away, obviously. But there will always be a place for film photography. Photography shouldn’t be seen as a zero sum equation, where the advent of a newer technology completely displaces mature technologies. Digital photography hasn’t, and never will, replace film photography. Digital has given photographers another option, but film use will always remain an option for those who prefer its methods and results, just as the advent of fine art acrylic paints didn’t kill the use of oil based pigments but simply gave painters another medium with which to work. If a certain amount of younger photographers are discovering the aesthetics of film and the differences between film capture and electronic capture that’s a huge positive, and a necessary corrective to a disturbing trend propagated by the technical potentials of digital capture. Digital photography has produced an obsession with sharpness and resolution which is causing us to overlook our connection to the image. It is so prevalent today as to be a universal photographic fetish. The perfection of digital is a false standard. Imperfection is beautiful, and a misplaced emphasis on sharpness can make an image lifeless and boring. I love the emotion of motion blur, and grain in film, it gives us something organic that connects us to the images we see. We’re humans, not robots, and much of contemporary photographic imagery could easily have come from the brain of an awesomely-cool-looking-yet-emotionally-barren android photographer. I think this is an issue we need to consider with current digital image making. The fetishism for high resolution is creating an odd desire for something beyond the real, a kind of visual hyper-reality. With film we chose a format for a specific subject matter. Large sheet film was used to get ‘sharpness’ and detail for very large prints. Grand landscapes were best depicted by using fine grained sheet film. Medium format gave us portability while allowing us to print big when needed. 35mm film was used for ‘decisive moments’. The grain and the characteristics of small film were part of the image itself, characteristics of the image that are part of the image’s interpretation. To be sure, photographers have always defined characteristics like high resolution; we used different emulsions and developers, and we sought out good lenses, etc. But sharpness was rarely an end in itself. But the interpretation that comes from the hyper-real digital look is more akin to some sort of cloning perfection. It is beyond the real. Today there seems to be this odd desire for the hyper-real as if an author’s interpretation of the real no longer exists via the choice of materials; high resolution and sharpness being applied indiscriminately to all subject matter as a standard photographic trope. I find myself missing the unique and interpretive look of traditional film photography. It seems so much richer and so much more capable of being infused with the idiosyncratic which is the base foundation of all creative enterprise. What increasingly dominates is a fetishism of the surface of the image while the content and context of the image too often takes a back seat. And that’s also why some people who grew up on digital are now looking to escape such bewitchment by turning to the simplicity, directness and creative possibilities of film. Call it a return to the interpretive. Others have tired of the never ending introductions of so-called ‘new’ cameras (more like minor tweaks of already existing technology) and the emphasis on the technology, and have found that using a mechanical film camera is not a retrenchment but a reanimation of the photographic impulse. Why use mechanical film cameras in a digital age? For most people, a mechanical film camera seems an anachronism. But in a very profound sense, it is the opposite: mechanical film cameras are the ultimate refinement of simplified technology with an established history. As such, ironically, they are not “obsolete” and never will be, except maybe from a standpoint of style. Technologically and functionally, mechanical film cameras resist obsolescence in a way newer digital cameras cannot, because they are, at base, simple. Perhaps someday we will acknowledge that a blind faith in technology can itself be regressive. There is tactile pleasure in the use of a mechanical instrument that is missing in something computerized. At the risk of devolving into the metaphysical, maybe it’s a fuller experience of the real rooted in sense of physical solidity and cause and effect. There is also an elegance to simple things that complicated things lack. It’s the pleasure of riding a bicycle on a Spring day instead of taking the car. 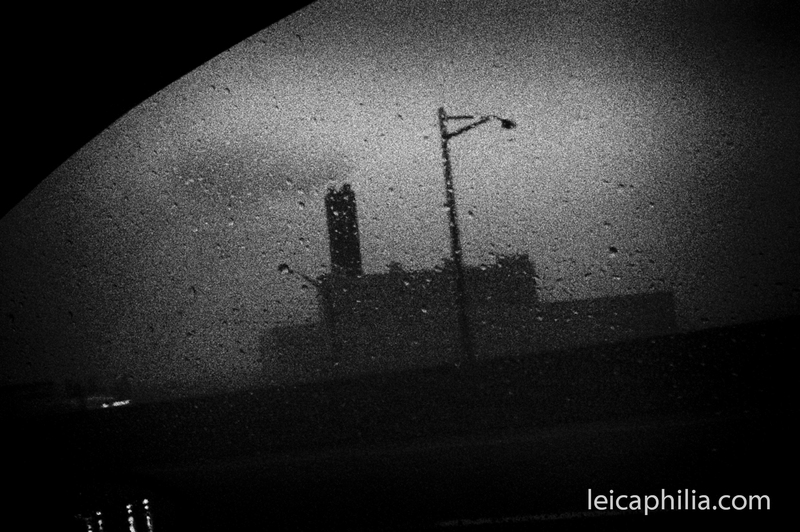 This entry was posted in Film photography, Leica Film camera, Leica Rangefinder on October 10, 2014 by Leicaphila.